The pilgrim goose is a domestic goose under threat; it is listed on the critically endangered list of the American Livestock Breeds Conservancy. This medium-sized domestic bird, weighing around 13 to 14 pounds, is known for its friendly temperament, although the breed also makes an excellent "watchdog." Information about the average lifespan of a pilgrim goose is remarkably slight. 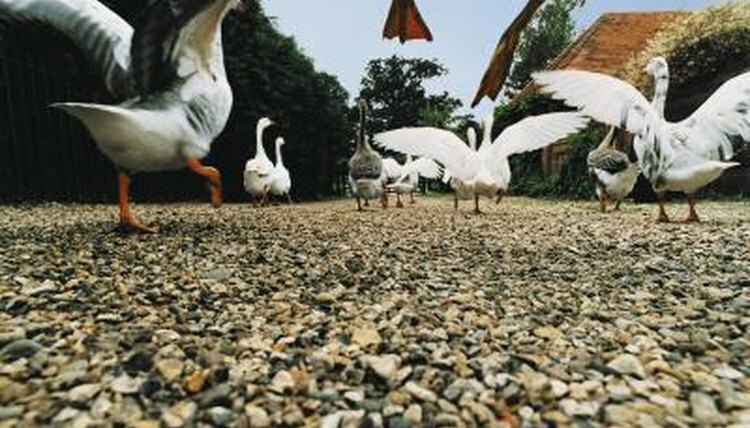 All other aspects of this goose breed are well-covered. However, Chris Ashton, goose breeder and author of "Domestic Geese," suggests that the average lifespan for domestic geese is around 20 to 22 years, and Wanda Embar at Vegan Peace estimates it at 25 years. Ashton also points out that fatter, heavier geese tend to have a shorter lifespan than average.